Elizzabeth Hope: Black && Blue. Congrats on your new job! Love your outfit - that necklace is perfect! 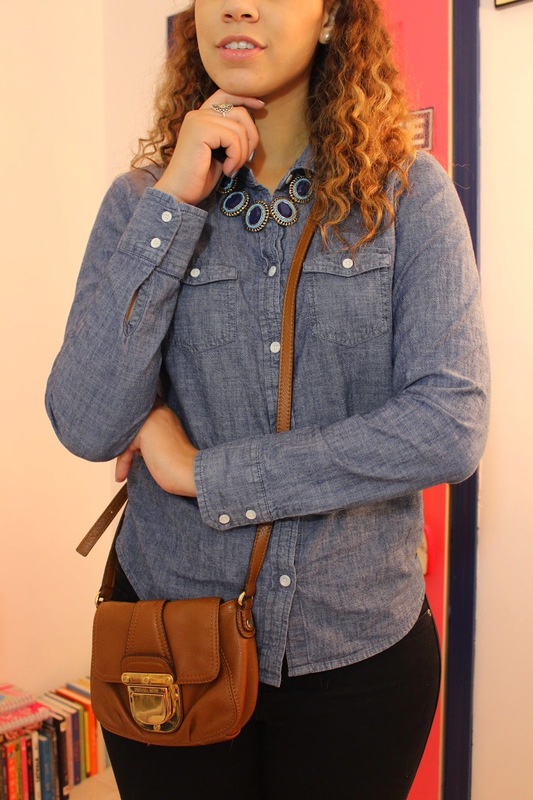 I love pairing the chambray tops with non-blue denim pants. So cute! Congrats on the job!